Today’s recipe is inspired by Pete Evans and also is a recipe that I have been meaning to bring you for some time. After sharing my Quinoa Fritters recipe with you last year, I knew that fritters were a recipe that you were keen on. 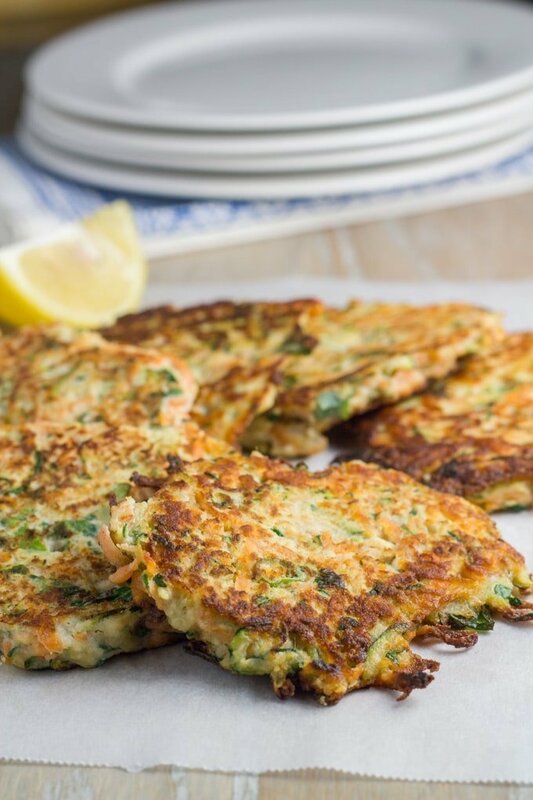 I also have cauliflower fritters that you can make. 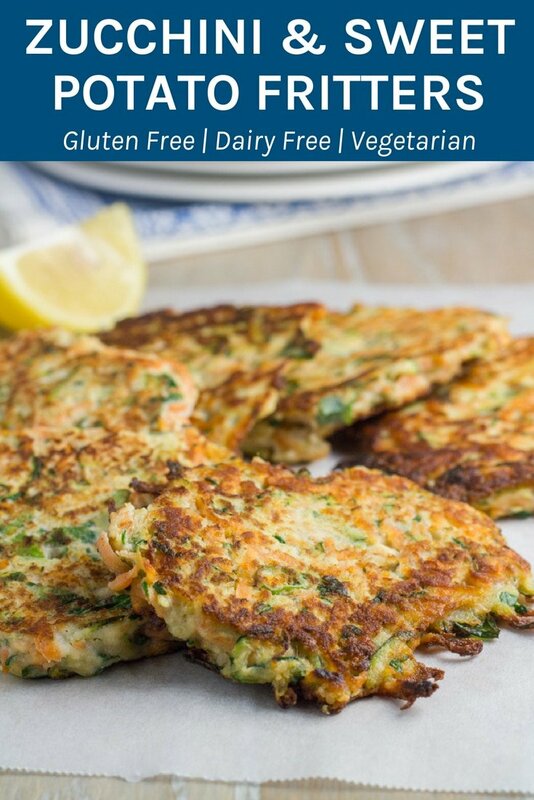 These fritters are gluten and dairy free and are suitable for Paleo. If you can’t eat egg or are vegetarian or vegan, then you can replace the egg with mashed potato. Chef In You has a handy guide for replacing egg in various meals. Add grated zucchini and grated sweet potato to a colander, add a pinch of sea salt, mixing through the zucchini and sweet potato. Let sit for at least 15 minutes, then squeeze out as much excess moisture as possible. Add to a large bowl with the remaining ingredients (except the coconut oil), mixing thoroughly. Add 2 tablespoons of coconut oil to a medium fry pan on moderate heat. Using a soup spoon, scoop out a heaped spoon of the fritter mixture and place in the fry pan and flatten a little. Place as many as you want in the fry pan, making sure the edges don't touch. (I made my fritters around 6-7cm diameter). If you can't eat egg or are vegetarian or vegan, then you can replace the egg with mashed potato. How much mashed potato do you think I would need to make these vegan?